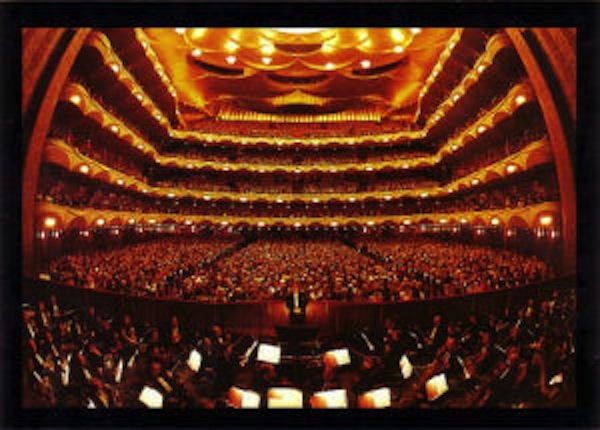 Classical music: Want to hear the highest note ever sung at the Metropolitan Opera? It is called the note that has never been sung before. 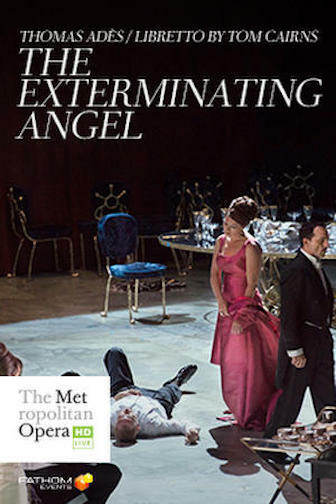 Not even at the famed Metropolitan Opera (below, first from outside and then from the stage over the orchestra pit) in New York City. And with no preparation, no working up to it, in the score. Just BAM!! There it is. You can hear more about it, and the discipline and preparation it takes to sing it, in the YouTube video at the bottom. 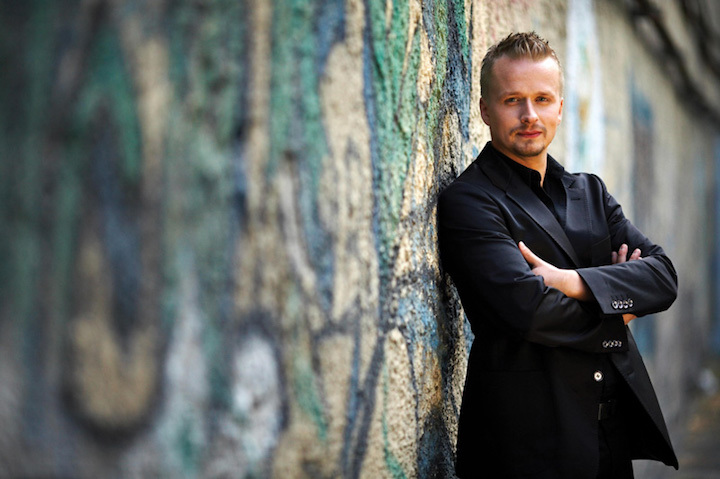 Classical music: “I like tunes,” says Academy Award-winning composer Thomas Cabaniss, who talks about his “Double Rainbow” piano concerto. The Wisconsin Chamber Orchestra and guest soloists will give the world premiere of the work this Friday night. 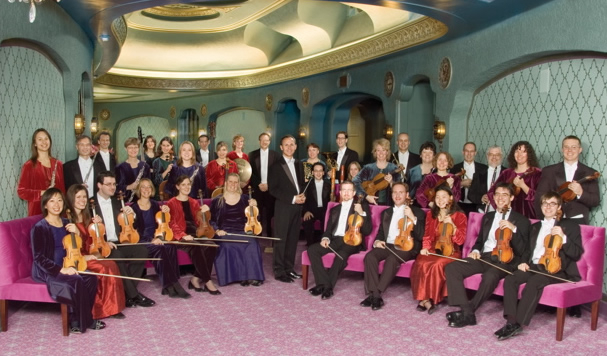 Even for the Wisconsin Chamber Orchestra (below), which likes to mix things and up during its winter season, the concert this Friday night is something special to close out the current season. 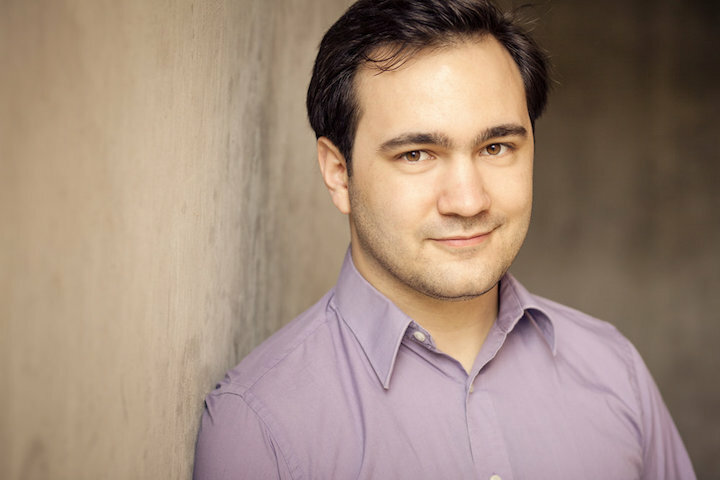 The WCO will give the world premiere of the “Double Rainbow” Piano Concerto by Thomas Cabaniss, which was commissioned for the WCO. 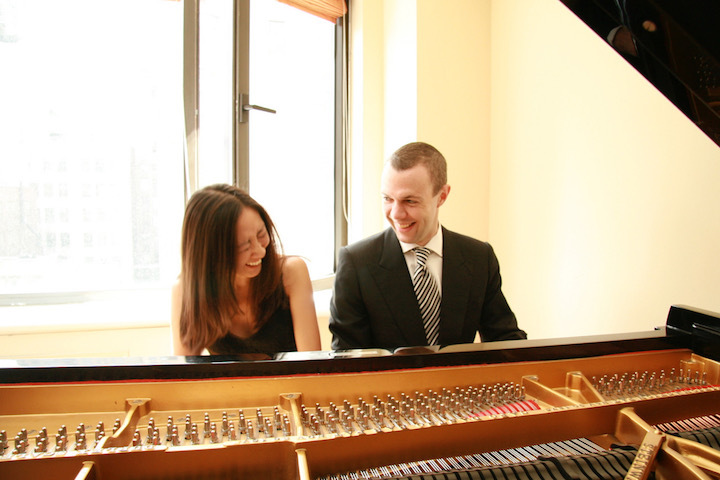 The performance will also feature husband-and-wife duo-pianists Michael Shinn and Jessica Chow Shinn. The concert is Friday night at 7:30 p.m. in the Capitol Theater of the Overture Center. Also on the program is Maurice Ravel’s Neo-classical homage to World War I, “Le Tombeau de Couperin,” and the Symphony No. 2 by Robert Schumann. Tickets are $10 to $80. Can you briefly introduce yourself and your career to the reader? I’m Thomas Cabaniss (below). I am a composer and teaching artist from Charleston, South Carolina. I have lived in New York for the last 30 years, and so I greedily claim both places as home. 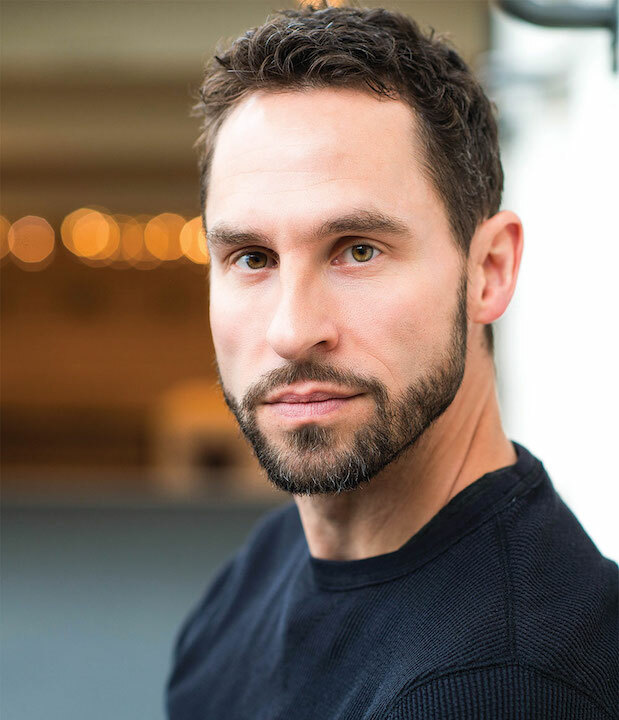 I teach at the Juilliard School — where I met Michael and Jessica Shinn — and I also lead arts education projects at Carnegie Hall. 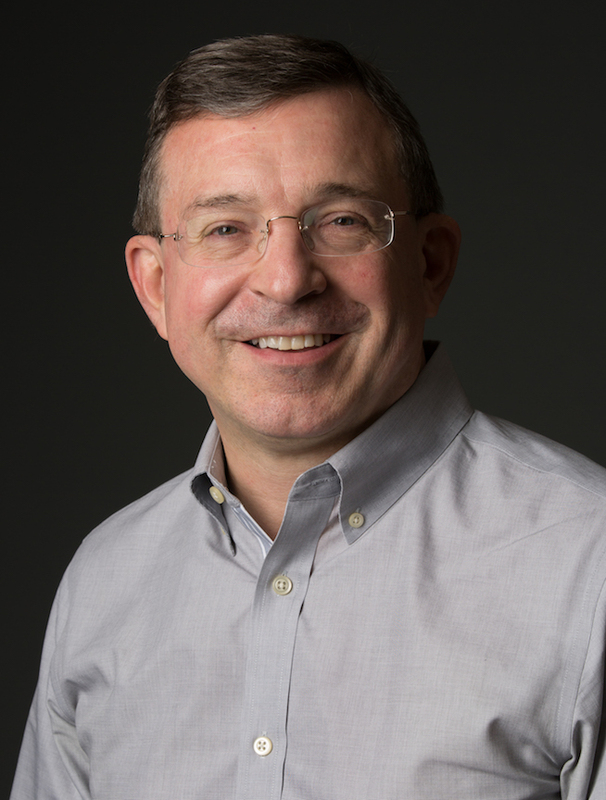 After graduating from Yale in 1984, I was an assistant conductor on a variety of projects including Leonard Bernstein’s opera A Quiet Place at La Scala and the Kennedy Center. Setting out to forge a career as a composer, I moved to New yolk City, which had the added benefit of being the same city where my girlfriend was attending medical school. A few years later we married and settled in Manhattan. To start, I worked primarily as a theater composer, but I was also writing piano and chamber music on the side, and doing arts education work in between shows. 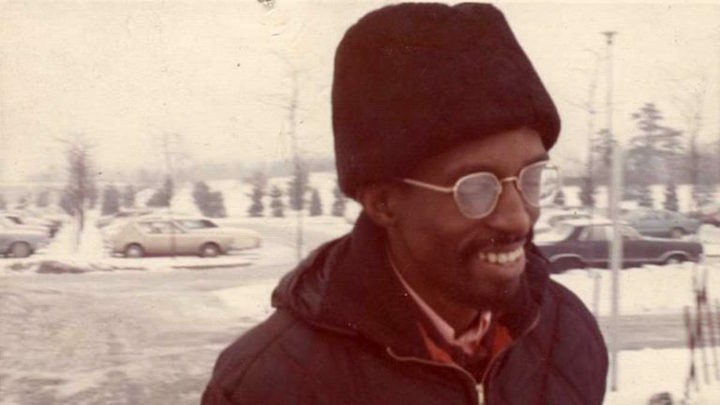 In 1990 I scored and arranged a short film called The Lunch Date, which won the Palme D’Or and the Academy Award. 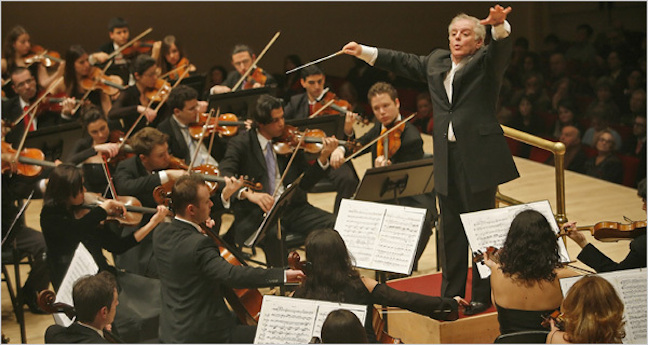 In 1995 I joined the New York Philharmonic education programs, eventually becoming the orchestra’s Education Director. I kept composing, and wrote a chamber opera called The Sandman, which was premiered in New York in 2002 and revived again the following season. In 2004 I was appointed to special education position with the Philadelphia Orchestra, and at the same time I wrote a series of evening length dance scores that were premiered in New York. 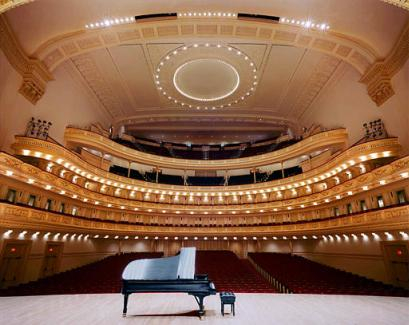 In 2009, I began working as composer-in-residence for the LinkUp program at Carnegie Hall, which has grown in that time to serve over 95 orchestras around the world and across the U.S. – including the Madison Symphony Orchestra. I also helped to create the Lullaby Project at Carnegie Hall, which serves young parents in shelters, hospitals and prisons, and we are working hard to extend that work across the country through a series of partnerships. How would you describe your musical style in general and the style of the new two-piano concerto specifically? Accessible? Tonal or atonal? Modernist or Neo-Classical? Melodic or percussive? Are there composers or works that have influenced your style? 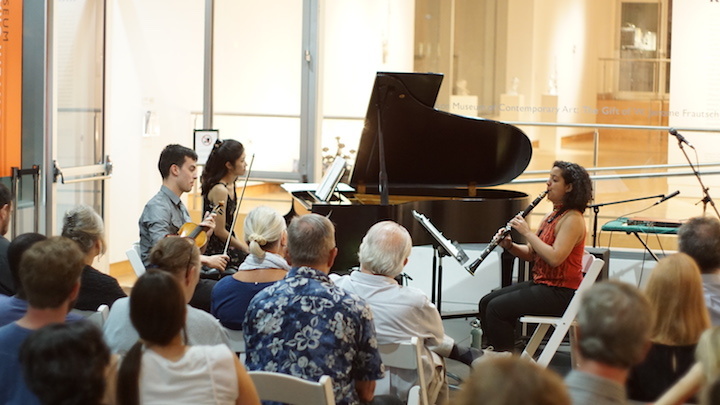 This piece is inspired by its soloists, Michael and Jessica Shinn (below), and by the image of a Double Rainbow (also the work’s title). I have written Michael and Jessica pieces for piano-four hands, and there is one piece they have championed called Tiny Bits of Outrageous Love. 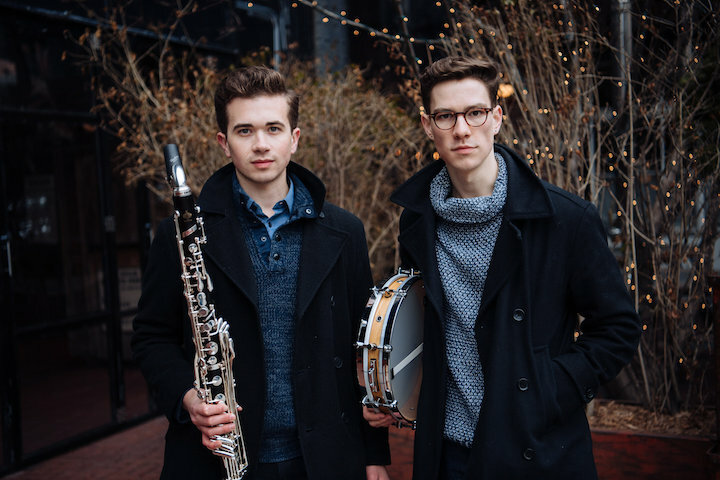 Something about the chemistry of their relationship as musicians (and as husband and wife) has inspired me to create music that is particularly exciting and intimate. And yes, I suppose most composers embed hints of the music they love in the music they write, and I am no different. Tiny Bits was a kind of homage to the Brahms Waltzes for piano-four hands, and Double Rainbow nods to Leonard Bernstein, Olivier Messiaen, Leos Janacek and John Adams. I’m sure listeners will hear other influences, too. 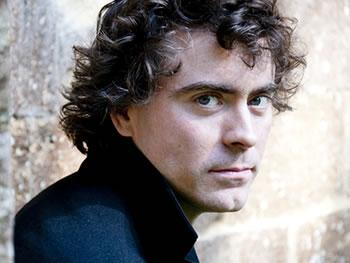 What would you like listeners to know about and listen for in the piano concerto? What were the special challenges of writing for duo-pianists? DOUBLE RAINBOW is based on an experience I had with my family on the Isle of Palms, South Carolina, about 20 years ago. On this particular August day, there was a huge rain in the early afternoon, many dark clouds, thunder (but no lightning). After the storm, from the porch of our beach rental house, we saw not one, but two rainbows (below). My sister-in-law is an avid photographer, and so she coaxed us all down onto the beach so she could get a pristine angle. That alone might have been enough inspiration for a piece of music, but when we got to the water’s edge, as Julia was snapping her photos, a dolphin jumped out of the water in a vertical launch, the tail clearing the water’s surface. It was one of those moments that seemed so unbelievable that none of us said a word. 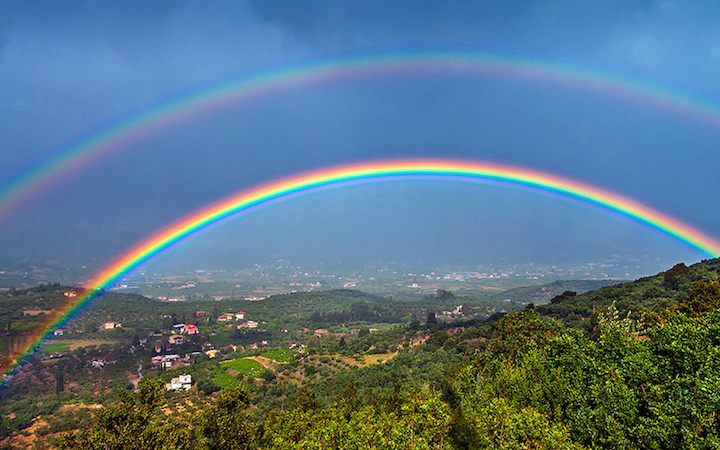 I have always been fascinated by the search for the elusive “perfect moment,” and DOUBLE RAINBOW is a sort of study of that kind of exploration. It is all bound up in the idea of “doubleness,” represented by the two pianos. It is divided into three movements: “Surfaces” (exploring the accumulation of drops of water from tiny, atomized particles), “Disturbances” (exploring imbalances and the storms that result from them), and “Revelation” (of the Double Rainbow). Not surprising in a double concerto, there is a great deal of dialogue between the pianos, and the orchestra has more of an accompanying role in the first two movements. The final movement is different, though. Everybody is in, and the music pulses with magic. The movement seems to be headed for a big climax, but at the last moment, it suddenly slows down and there are stars. The main challenge for me in writing a double piano concerto is all those fingers! Twenty of them, and they are capable of so much. The music I write does not usually focus on virtuosity, and yet I also wanted it to be a vehicle for them to be expressive and dynamic. I worked hard to achieve a balance between the lyricism and the fireworks – we’ll see how audiences experience it. 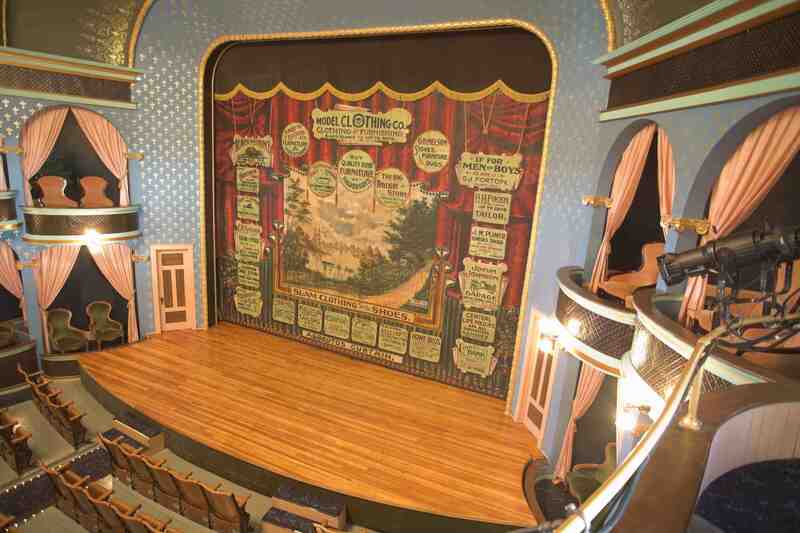 I am especially excited to be able to visit Madison for the premiere. 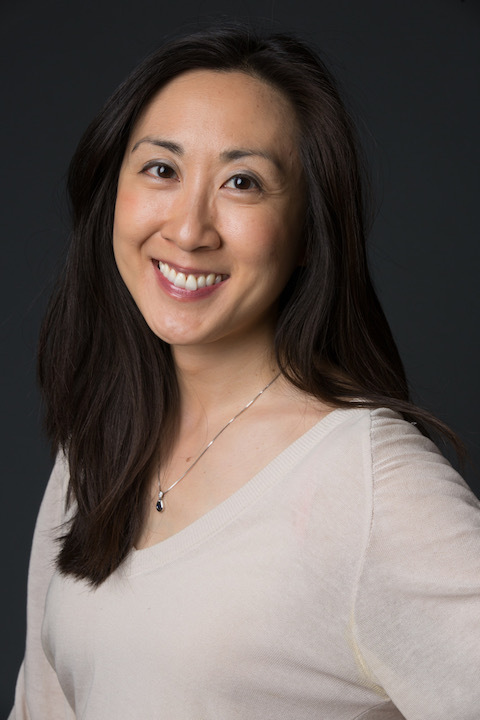 I’ll get to meet members of the family of Jessica Chow Shinn (below, she is a Madison native), and I have a former student in the orchestra (Midori Samson, Second Bassoon). My Carnegie Lullaby Project collaborators include another Madison native (Ann Gregg) and Elizabeth Snodgrass, who is originally from Appleton (I think) but recently moved to Madison. 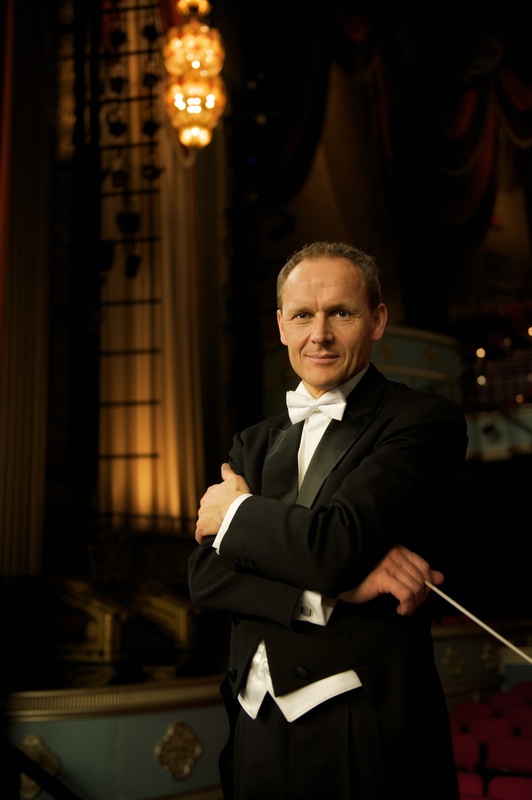 I will get to meet WCO music director Andrew Sewell (below) in person. We have been doing some Skype rehearsals and phone consultations. It will be great to watch Andrew in action. While we are here, my wife Deborah will be giving Grand Rounds at the Department of Psychiatry at the University of Wisconsin, and my son Will leads an a cappella group at University of Chicago (Voices In Your Head), and this year they have been singing frequently with a wonderful University of Wisconsin group (Fundamentally Sound). The last few seasons the Madison Symphony Orchestra has been offering Carnegie Hall LinkUp concerts to kids in grades 3-5, and this year is no exception. They will perform The Orchestra Moves in May, for which I wrote two of the works (Come To Play and Away I Fly) and arranged another (Cidade Maravilhosa). This project has been a few years in the making, and so for Michael and Jessica and me, this is a kind of celebration. We can’t wait to share DOUBLE RAINBOW with you. 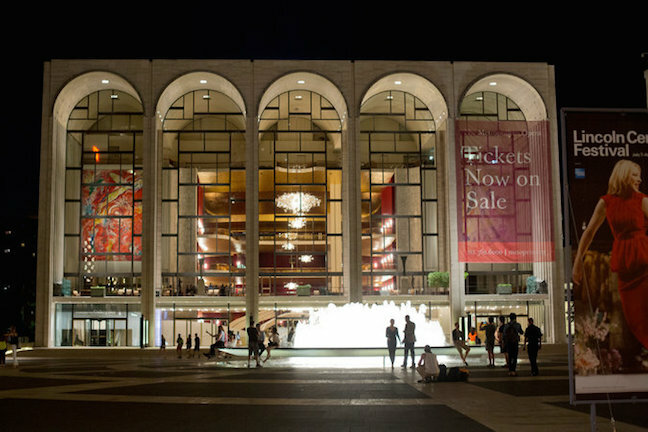 Classical music: Go inside the Money Opera at the Met with the Pulitzer Prize-winning financial reporter James B. Stewart. 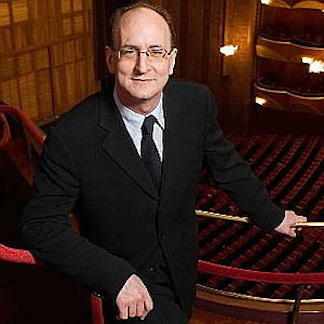 It is no secret that the famed Metropolitan Opera in New York City has been having major financial and labor problems during the tenure of its General Director Peter Gelb (below). But it is hard to find a better researched or more detailed account of what is going on than the account that was written by the journalist James B. Stewart and appeared in the March 23 issue of The New Yorker magazine. 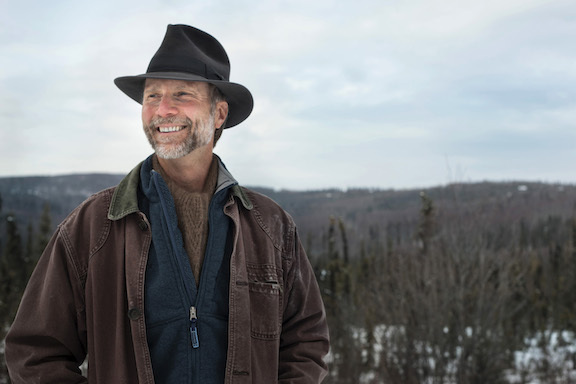 A graduate of the Harvard University Law School, Stewart (below), you may recall, is a winner of the Pulitzer Prize, a former reporter for The Wall Street Journal and currently a columnist for the New York Times. He has also written best-selling books. Such qualifications give him added credibility when reporting on the fiscal state of the arts. 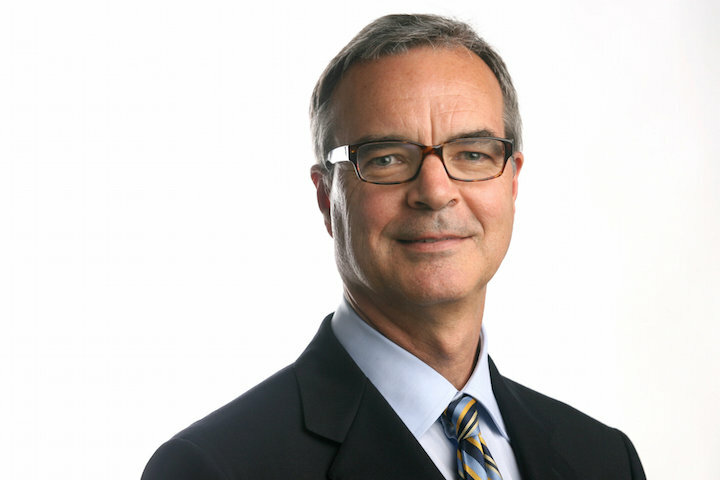 Plus, Stewart got access to documents and records as well as to members of the board of directors. His account is filled with specific details about costs and fundraising that are convincing. The discrepancy, for example, between what the Met said was the official cost of its recent and controversial “Ring” cycle (below) by Robert Lepage of Cirque du Soleil and what others say it cost is both astonishing and appalling. In an interview with Jim Zirin, Peter Gelb defends himself and his tenure in a YouTube video at the bottom. 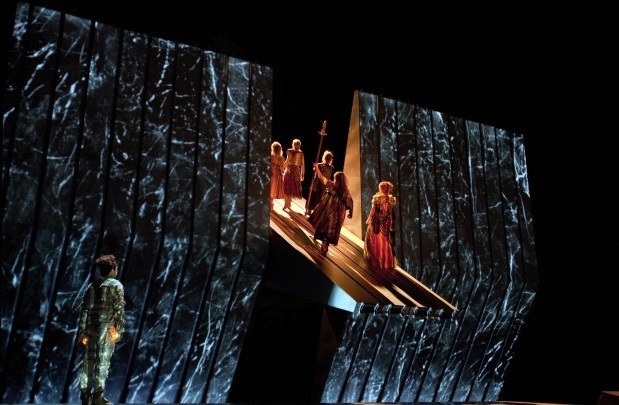 To The Ear, the larger question is whether some of the same criticisms apply to other large performing arts groups, opera companies and symphony orchestras in other cities. Classical music: Here are the best classical recordings of 2014 from The New York Times, The New Yorker magazine and The Boston Globe as well as NPR. This is the last weekend for holiday shipping before Christmas, and retailers expect today to be even bigger and busier than Black Friday. But whether you go to a local brick-and-mortar store such as Barnes & Noble or use the Internet, there is still time to order and receive such items as gifts. Plus, whether you are looking for a gift for someone else or for what to buy with that gift card or cash you receive, perhaps you will find the following lists convenient and helpful. It covers solo instruments, vocal music, operas, orchestral music, chamber music – you name it. 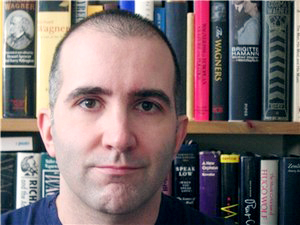 The third list comes from ace music critic and prize-winner Alex Ross (below) of The New Yorker Magazine. He names 20 different recordings along with 10 memorable live events from the concert scene in New York City. 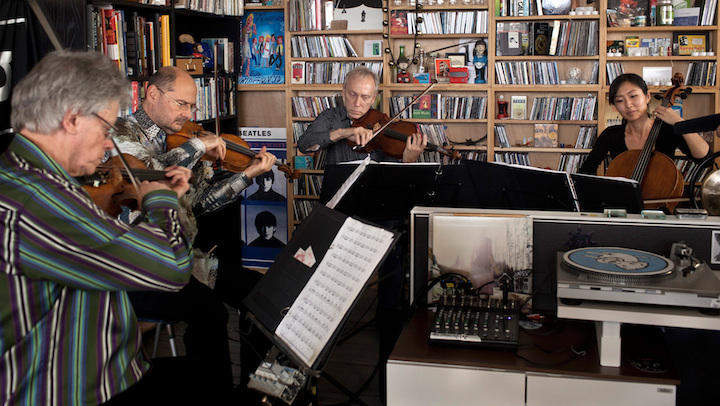 The Ear finds it interesting how many agreements there are about certain composers, works and performers – such as the haunting, 2014 Pulitzer Prize-winning work “Become Ocean” by the contemporary American composer John Luther Adams (below top and at the bottom in a YouTube video) and the Schubert recording by British pianist Paul Lewis (below middle) in late music by Franz Schubert or Alan Gilbert conducting the New York Philharmonic in two symphonies by Danish composer Carl Nielsen. It will be interesting to see what 2015 brings. 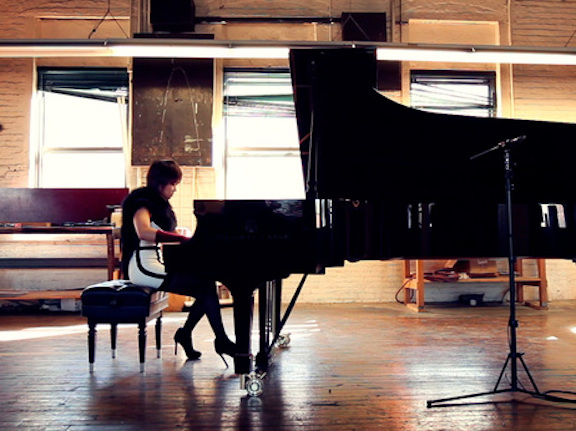 Classical music: NPR plays musical anthropologist and goes into the field to bring back a live recording of glam pianist Yuja Wang playing Prokofiev at the Steinway Factory in New York City. 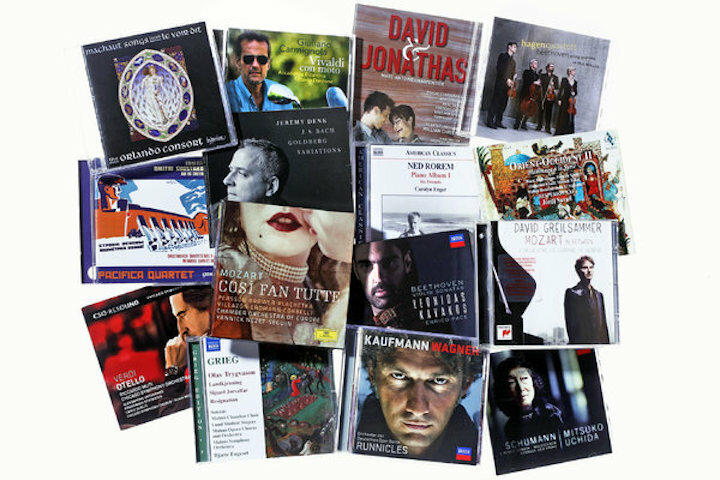 You can also find NPR links to and archives of other live performances -– often through radios stations such as WQXR-FM in New York City and WGBH in Boston –- and include a recital of live music in major halls and venues, including one of Franz Joseph Haydn, Ludwig van Beethoven, Claude Debussy and Frederic Chopin by the acclaimed Norwegian pianist Leif Ove Andsnes at Carnegie Hall (below). And there are many, many others. And now Deceptive Cadence seems to be acting like musical anthropologist. The time they went out “into the field” – that is, not in the usual venues and concert halls. That’s not unheard of, of course. 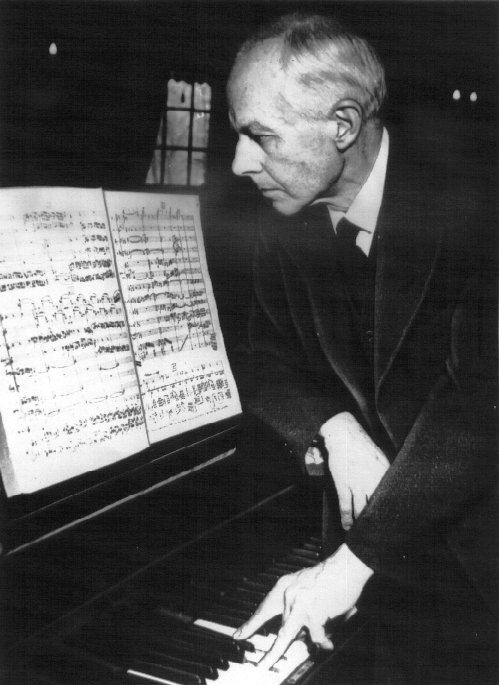 That is how the great composer Bela Bartok (below) started out as a musical anthropologist or ethnologist of Hungarian and Romanian folk music, and then used his research to morph into one of the pioneers of musical modernism. Chopin used Polish music like the mazurka to create a new Romanticism. And in American folk music, the musical anthropology of Alan Lomax is legendary. The music and the physical virtuosity or dexterity is amazing to behold. It is also kind of cute and informal to watch the diminutive figure of the glamorous Wang playing difficult cert music in a cold, wood-strewn and equipment-strewn warehouse in fingerless wool hobo gloves that go up her forearm –- but only after she uses the reflective fallboard above the keys to put on glossy lipstick and so complete her outfit of black fur-like boa, black stiletto heels and geometrically high fashion black-and-white dress. Ah! Those tribal ceremonies and native attire! 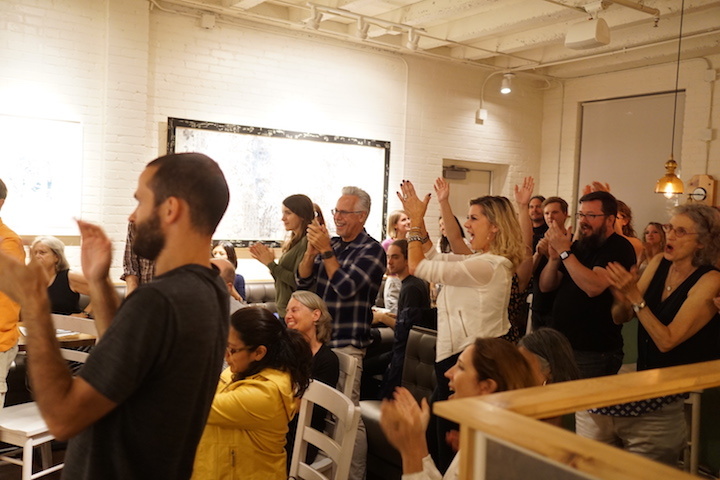 Anyway, here is a link to the performance by Yuja Wang at the Steinway and Sons factory in the borough of Queens, not the usual Steinway showroom in Manhattan where most pianists test and choose pianos for their performances. 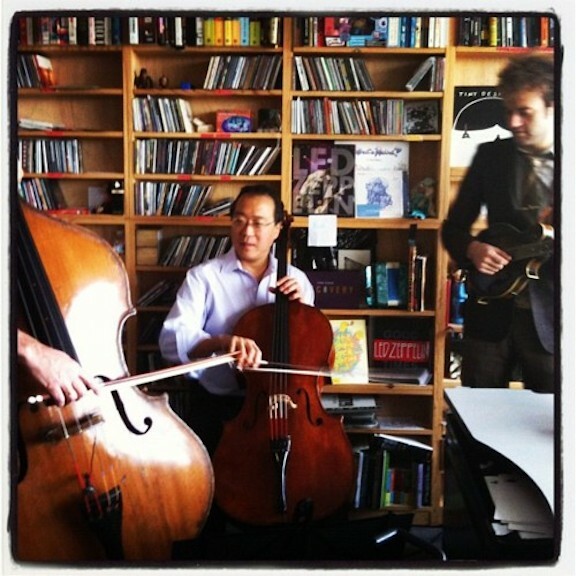 The Tiny Desk Concerts archive has lots of kinds of live performances. 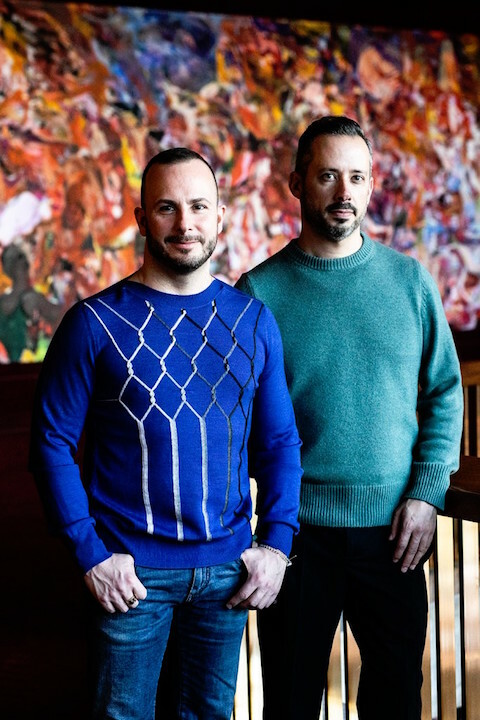 Classical music: You don’t have to be a drinker to savor the musical cocktails that the Bach Dancing and Dynamite Society will serve up this weekend to close its 21st summer season. 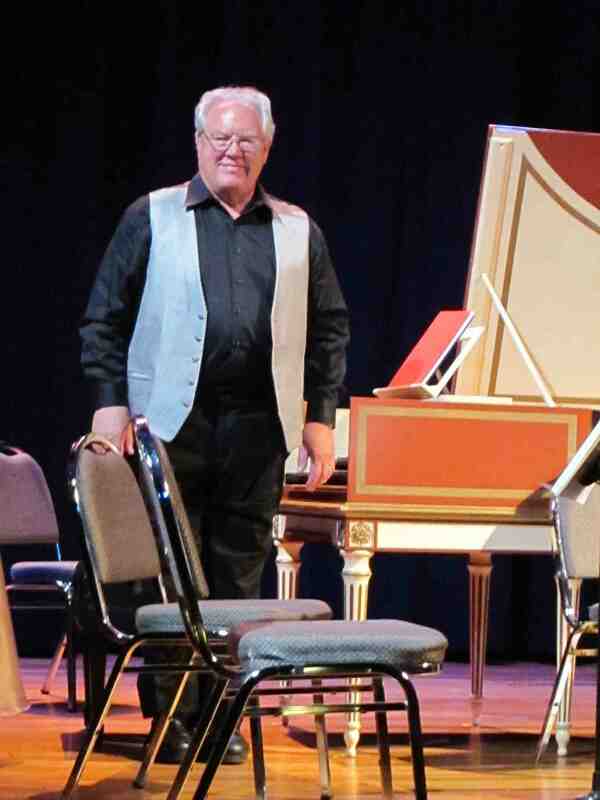 At least it is for the Bach Dancing and Dynamite Society and for its many fans and friends who this weekend will see the summer chamber music ensemble bring the curtain down on its 21st season. Most appealing of all is the repertoire. The two programs offer wonderful contrasts. The “Kir Royale” program (champagne with a touch of black currant liqueur) features “noble” and “aristocratic” works: a Baroque dance suite by Couperin; a chamber version of Haydn’s Classical-era Symphony No. 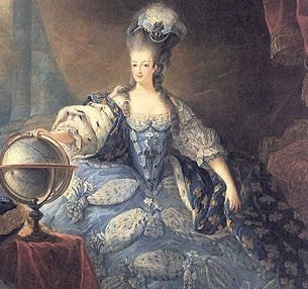 85 “La Reine” (The Queen, written for Marie-Antoinette, below); and Schubert’s sublime and other-worldly Cello Quintet, perhaps the greatest single piece of chamber music ever composed. 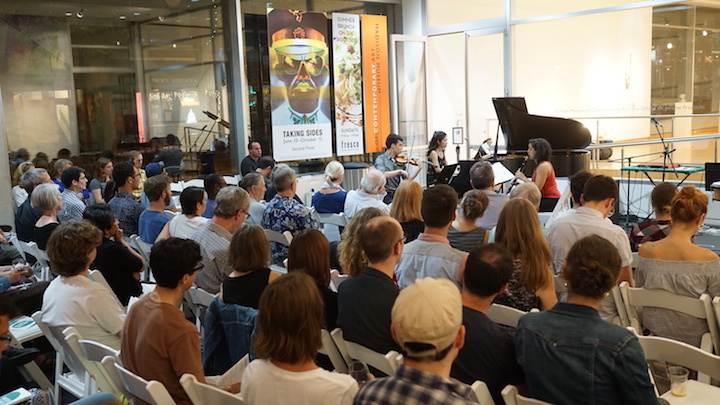 The second program features the “Old Fashioned,” that is – composers who were thought staid or backward looking in their day but are now seen as forward-looking and original. 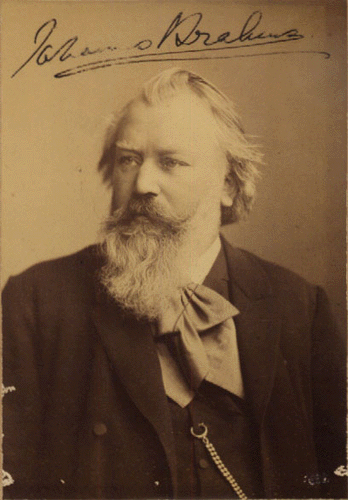 Those works include Igor Stravsinky’s 20th-century Neo-Classical dance suite “Suite Italienne”; Francois Couperin’s “The Apotheosis of Lully” written in 1725; and the titan of Romantic traditionalism by the successor of Bach and Beethoven, Brahms (below) as expressed through his masterpiece the Piano Quintet in F minor. 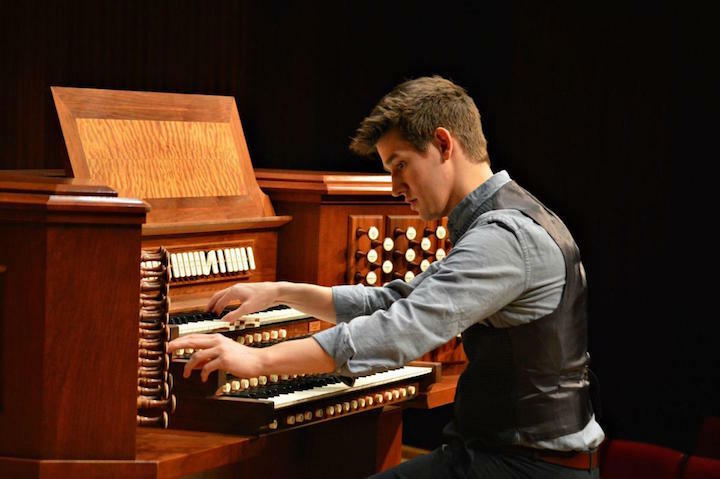 Add in the guest artists, including harpsichordist Layton James (below), Minnesota Orchestra cellist Anthony Ross and New York violinist Carmit Zori, and The Ear thinks unforgettable treats are waiting. 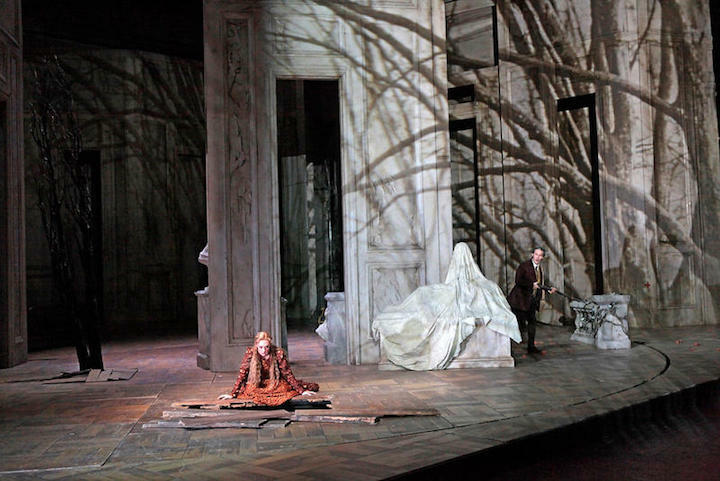 These are all wonderful works, sure to be given energetic performances and not to be missed. Of course the whole BDDS season, done in six program and three venues over three weeks, have been that way. 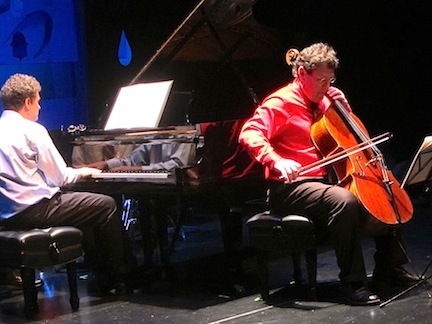 Last weekend, for example, was the nearly sold-out “Manhattan” program, which served up delicious Big Apple concoctions by Leonard Bernstein (“Symphonic Dances from West Side Story” arranged for two pianos and percussion); Ned Rorem (his Flute Trio); Samuel Barber (his gorgeous neo-Romantic Cello Sonata, below); and Astor Piazzolla (three tangos), who learned much of about jazz from his time in Manhattan clubs before returning to his native Argentina. The superlative guest artists included two percussionists (Lawrence University’s Dane Richeson and UW-Madison’s Tony Di Sanza, both unfortunately concealed from much of the Playhouse audience by the piano lids) plus a local cellist (UW’s Parry Karp) and a guest pianist (Randall Hodgkinson from the New England Conservatory of Music) joined BDDS’s co-founders and co-directors flutist Stephanie Jutt and pianist Jeffrey Sykes. 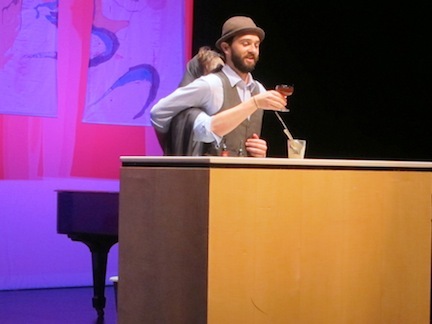 And the hilarious Mystery Guests were two comical bartenders – one for torso and head, the other for hands – who concocted an actual Manhattan (below) to loud applause and riotous laughter. I suppose I should wait until after the coming weekend before speculating about the next season. But you can’t help but wonder: What will be the theme for BDDS’ 22nd season – maybe duets and quartets, maybe animals (as in Noah’s Ark and two-by-twos). Whatever it is, you have to believe it will be yet another remarkable summer season. A Toast and a Thank You! You make it an intoxicating summer, no matter what theme and music you choose.